Norfolk is planning to join Richmond, Portsmouth, Newport News and other localities across the country to “ban the box” on job applications, whereby the question “Have you ever been convicted of a felony or misdemeanor?” is removed from job applications. The daunting question that gave Clayton pause more than two years ago will soon disappear from most city job applications, a move that makes Norfolk the second city in South Hampton Roads to join the growing “ban the box” nationwide movement. Portsmouth removed the question from many of its applications in April. After officials finish developing the new policy, the city will stand as one of only a handful in the commonwealth to delete the question. That, officials said, could happen by Sept. 1. 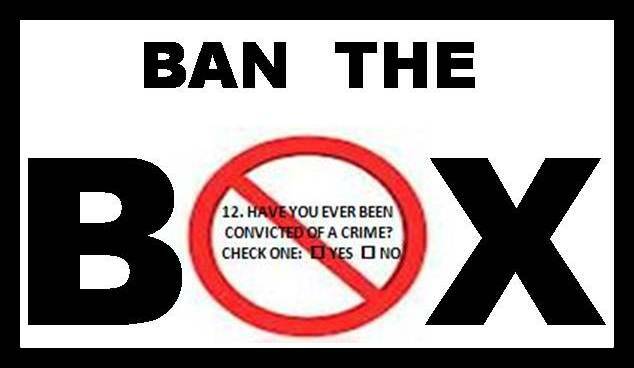 So what say you, dear reader: ban the box? Previous Post ICYMI: What will McDonnell scandal produce? Seems to me that if employers, like the city, are going to do background check prior to the hire, anyway – and certainly, they should – then I see no reason for the box. Ever is, after all, a long time. I voted yes. I think the bigger issue is whether or not its illegal to discriminate based solely on the fact that you have a criminal record. If the answer is yes, then Norfolk is basically admitting that it broke the law previously by disqualifying people just for checking the box. And if Norfolk wasn’t doing that, then this entire thing is just a pointless, feel good, PR measure that serves absolutely no purpose except to make people who don’t understand they will be subject to a background check anyway feel marginally better about themselves during the time it took for them to fill out the application. Even then, aren’t most applications done online now anyway? Check the box and it sends a ping to a background check API service, that depending on the response, will or will not move them forward to the next stage. Don’t check the box and that determination gets made later, probably by a human if something else on the application didn’t disqualify them for some other reason. I doubt if it is illegal, considering how widespread it is. Somebody would have sued by now, right? As for online apps – I have no idea how many are doing this. I certainly wouldn’t recommend doing an automatic background check based on a checkbox. That could be an expensive way to screen applicants. It may be a way to SAVE expenses. If you’re going to disqualify ALL applicants who have been convicted of a felony or misdemeanor, then by all means have the box and chuck those applicants that check it. Then run background checks on the rest to be sure they are not lying. However, if you’re NOT going to disqualify all such applicants, then get rid of the question, since it is irrelevant. Where are we trying to go with this? Are the localities saying (by removing the question from the application) that we don’t care that you’ve been convicted of a crime? Or are they saying, “it’s ok for you to apply here (criminal record or not) BUT if you have a record, we’re not going to hire you. HR typically use the application to find out if a person is qualified for a given position. It’s a winnowing out process. Why eliminate one of the questions that would disqualify an applicant from consideration? If on the other hand having a criminal record is not a deal breaker for job consideration, then the question should be removed. HR professionals deal with this every day, so I would defer to their opinions on this matter.. I don’t think anyone is saying that they don’t care whether someone has been convicted nor are they saying it is, by itself, a dis-qualifier. I think what they are getting at is that the box itself may keep otherwise qualified applicants from applying. And that doesn’t help folks be productive members of society. The box is a yes or no thing. It doesn’t say, yeah but it was a misdemeanor that was 30 years ago and the applicant hasn’t had any trouble since. In this highly competitive employment environment, it could be used to simply round file any “yes” application.